At the current rate of installation, the City of Toronto is on track to complete its 10-year bicycle plan in 24 years --- by 2049 instead of 2025. (See our tracking chart here: Bike Plan Tracking Chart Sept 2018.) Considering the spate of deaths on the city's streets this summer, the city should be accelerating the installation of infrastructure to make our streets safer --- not dragging its feet. Toronto’s 10-year plan includes a total of 335 centreline kilometres of bike lanes and boulevard level paths. The best case scenario for this year is the installation of about 13 kilometres of on-street cycling facilities. The Thorncliffe and Flemingdon Parks and York University projects – mainly along internal roads – make up almost half of this total. 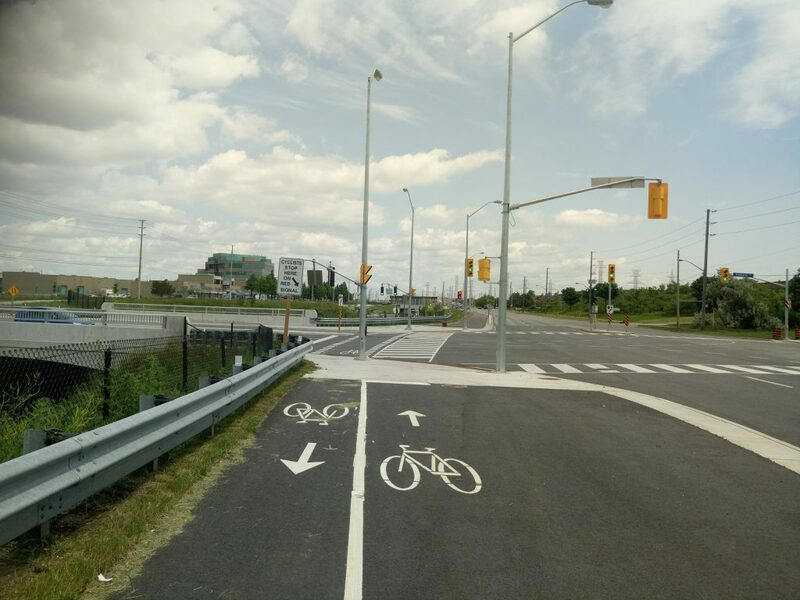 There is some good news, including the filling of key gaps such as a 50-metre bi-directional cycle track on Dufferin St. – linking the Florence and Waterloo contraflow routes – and a 2.4 kilometre extension of the Eglinton West trail next to the Mississauga Transitway. A further 250-metre extension to the Etobicoke Creek Trail and the existing Eglinton trail in Mississauga is also expected this year, or early next year. Eglinton West Trail next to Mississauga Transitway. Photo by Robert Zaichkowski. In addition, construction has already started on protected bike lanes at the the Six Points intersection at Bloor, Dundas, and Kipling, with work to be completed by 2020. 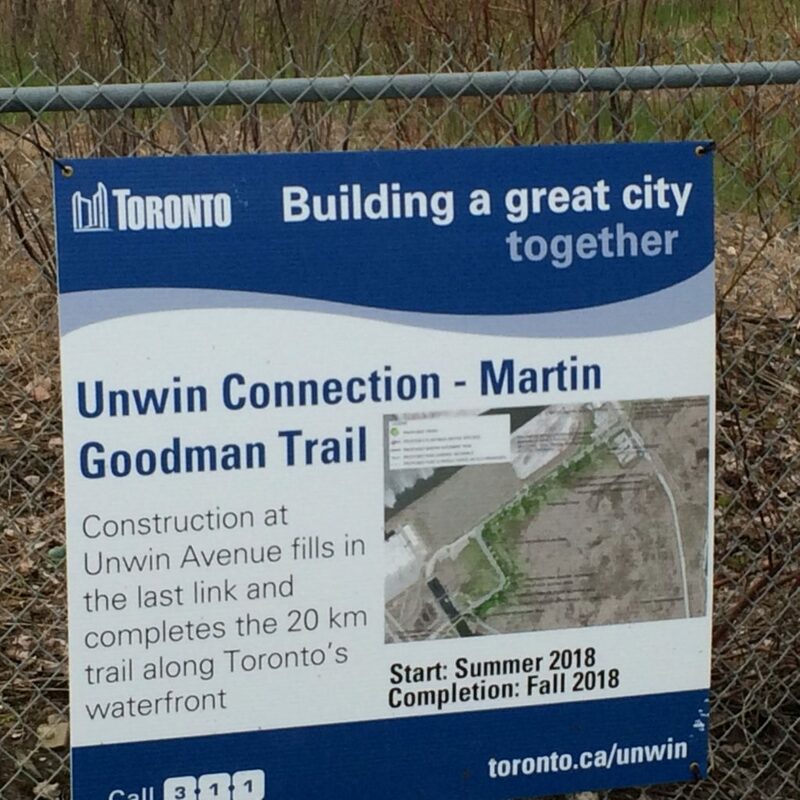 Finally, an 800-metre path along Unwin Ave. on the waterfront is to be completed by the end of the year; the final piece of the Martin Goodman Trail stretching from the Humber River to the eastern beaches. Over 40 years after the waterfront trail was started the last gap is to be filled along Unwin Ave. this year. Photos by Albert Koehl. The 13 kilometres of forecasted installations for this year would be an improvement over the 2016 and 2017 installations of seven and 10 kilometres respectively. 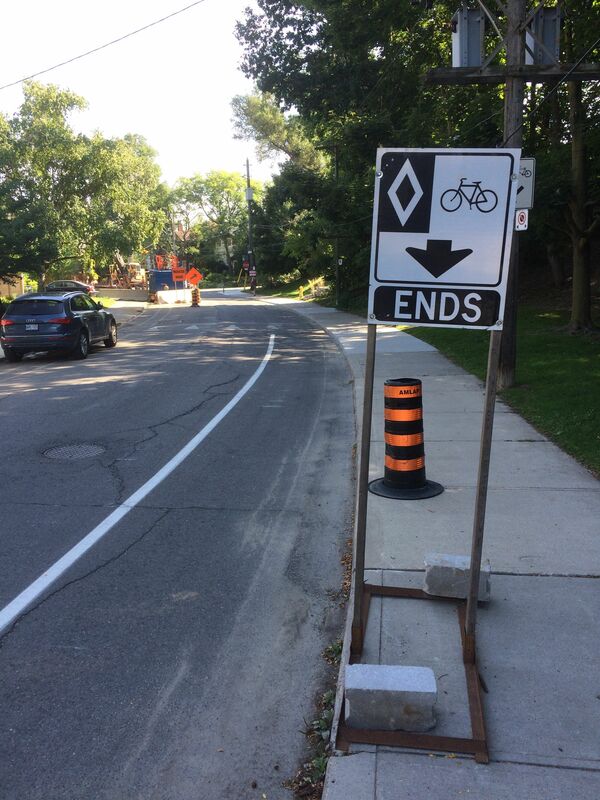 However, the 30 kilometre total translates to only 6% of the 535 kilometres called for in the 2016-2025 bike plan or only 15% of Cycle Toronto’s 2014 Minimum Grid ask of 200 kilometres of protected bike lanes and bicycle boulevards. This year’s most significant project – a 2.6 kilometre bike lane on Port Union Road from Kingston Road to the Waterfront – is being delayed, although it’s worth noting that project itself is motivated more by a planned road widening than cyclists’ safety. On Bloor Street, the Sherbourne to Church stretch was supposed to have bike lanes installed last year, but the City now says there will be a further delay to 2021 due to conflicts with other road work. During the City Council meeting in March, a decision on REimagaining Yonge from Sheppard to Finch Avenues – for which staff had recommended protected bike lanes – was deferred until after the election. Fortunately, there is good news to report on other bicycle fronts. Bike Share Toronto has done a further expansion to 3,750 bikes and 360 stations with new stations added in the east end (Beaches, East York) and near Yonge and Eglinton. Toronto City Council also approved the start of a complete streets study on Danforth Avenue, which will hopefully bring us one step closer to bike lanes on Danforth. In addition, City Council approved a $22 million increase in Vision Zero funding in response to the widespread media attention on vulnerable road user deaths. To date, 25 pedestrians and 4 cyclists have been killed (see Toronto Star collision map), while many more families have to deal with life-altering injuries to their loved ones. The three memorial rides in June alone sparked renewed calls for a real network of bike lanes in the city. This funding increase includes the construction of ten “complete intersection” pilots, which we hope will mean protected intersections. 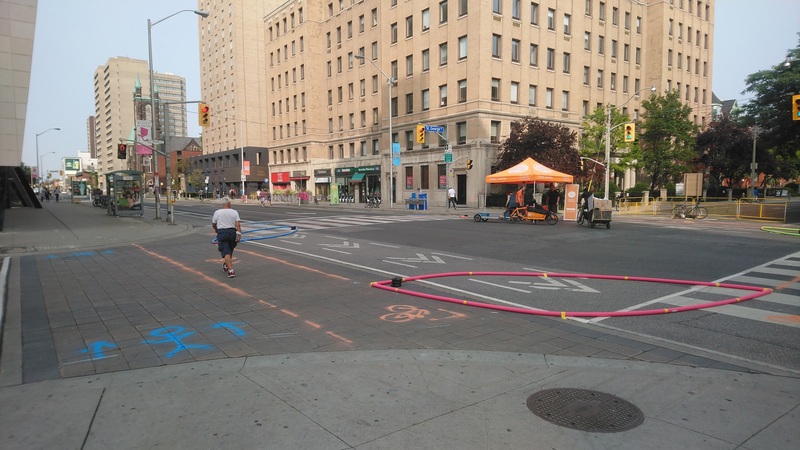 To help build awareness of protected intersections, Cycle Toronto hosted a demonstration during Open Streets on August 19 and will be doing another demo on September 16. Protected intersection demo at Open Streets. Image by Robert Zaichkowski. With six weeks left until the election, we encourage people to ask their council candidates to support accelerating the bike plan, relaunching the major corridor studies put on hold and ensuring that local projects in their wards get built. The need is especially strong in areas outside the downtown where most traffic fatalities have taken place. The challenge now is for cyclists is to build the necessary political support at city council, and to ensure that staff get the resources they need to build a grid of bike lanes. 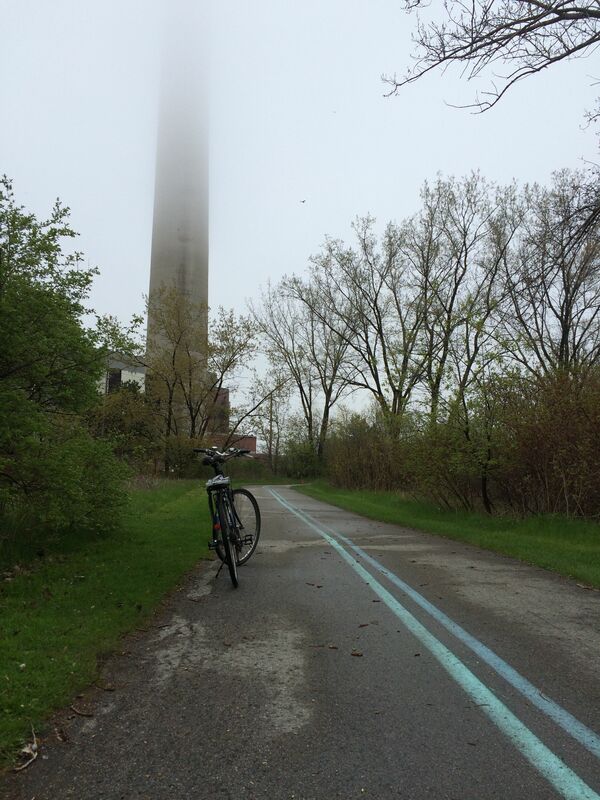 Robert Zaichkowski is an accountant and a Board Member of Cycle Toronto. Albert Koehl is an environmental lawyer and founder of Bells on Bloor.